By Kathleen Marden, BA, MA Edu. A few years ago, I felt perplexed by the failure of physical science to take UFOs and ET Contact cases seriously enough to fund academic research studies on the evidence that these phenomena might be real and not imaginary. As part of my investigation, it seemed prudent to explore the official channels that diverted funding away from the scientific investigation of physical evidence to the study of those who report UFO encounters by social scientists. I discovered an orchestrated plan through official channels to effectively take the science out of UFO research on official levels. The following is an updated version of a paper I presented at MUFON’s 2010 MUFON International Symposium. Brian O’Brien, Ph.D., committee chairman. He was an optical physicist and chairman of the US Air Force Studies Board for 12 years. Launor F. Carter, Ph.D., a social scientist and vice president of the Systems Development Corporation (a social science research and evaluation company). He was the chief scientist in charge of the US Air Force’s knowledge production and utilization in education. Jesse Orlanski, Ph.D., a psychologist for the Institute of Defense Analysis and Research and the engineering support division. Specialized in problems of behavioral science research for national security. Richard Porter, Ph.D., an electrical engineer who worked on space sciences programs at the National Academy of Sciences. Willis H. Ware, Ph.D., an electrical engineer and computer scientist for the Rand Corporation. Specialist in military and information processing problems that pertain to computers. Carl Sagan, Ph.D., astrophysicist, exobiologist, professor at Cornell, advisor to NASA, and later advocate for SETI. In October 1966, the Secretary of Defense announced the committee’s decision to hire Edward U. Condon, PhD, a respected physicist at the University of Colorado to spearhead a formal study on unidentified flying objects, which resulted in the 1969 “University of Colorado Report on Unidentified Flying Objects”. Ufologists’ high hopes for an objective study diminished when Condon made a series of negative public statements about the project, avoided cases that warranted serious attention and personally focused upon “crackpot” cases. Levine handed the memo to David R. Saunders, Ph.D, a Condon Committee key staff member. In turn the memo found its way to writer John G. Fuller. His expose’ in the May 14, 1968 issue of LOOK magazine titled “Flying Saucer Fiasco: The half-million-dollar cover-up on whether UFOs really exist” blew the project wide open, enraged ufologists, and troubled American taxpayers. Saunders and Levine were expelled from the project. 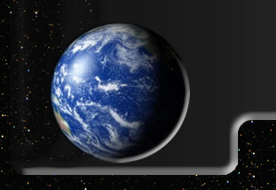 Despite the official statement made by Edward Condon that the committee found no evidence to justify a belief that extraterrestrial visitors have penetrated our skies, the special UFO subcommittee of the American Institute of Aeronautics and Astronautics found that 30 percent of the 117 cases studied in detail could not be identified. The subsequent National Academy of Science’s report on the Condon Study states, “The least likely explanation for UFOs is the hypothesis of extraterrestrial visitations by intelligent beings.” Is it any wonder that Section 7 of the report states that UFO reports “should be of interest to social scientists”? This taken together with the “trick memo” suggests that project’s conclusions and recommendations might have been predetermined before even one evidentiary file had been examined. It is no surprise that today social scientists receive grants to engage in academic studies on self reported experiencers in an academic setting; not physical scientists such as the late James McDonald, Ph.D.
Continue Reading Part II: Social Science theories, Hypotheses and Research Status Inconsistency Theory. 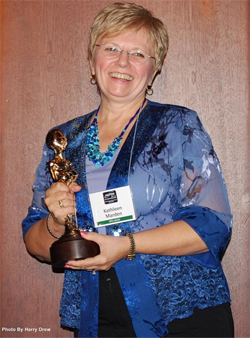 Kathleen Marden is known around the world for her work as a UFO ET contact researcher, experiencer rights advocate, author and lecturer. She has 24 years experience in the field. For the past 3 years, she has served as MUFON’s Director of ET Contact Research. 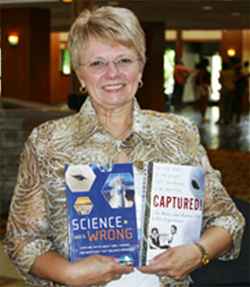 In 2012, The Mutual UFO Network named her “Ufologist of the Year.” She is also a member of the Foundation for Research of Extraterrestrial Encounter’s Advisory Board and a consultant to FREE’s Research Subcommittee. She earned a B.A. 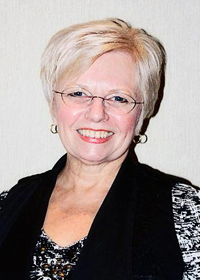 degree in social work from the University of New Hampshire in 1971, and participated in graduate studies in education while working as a teacher and education services coordinator. She also has extensive training in hypnosis. Her interest in UFOs dates back to September 20, 1961, when her aunt, Betty Hill phoned her nearby home to report that she and Barney had encountered a flying saucer in New Hampshire’s White Mountains. 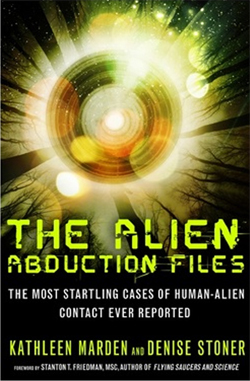 A primary witness to the evidence of the UFO encounter and the aftermath, Kathleen has intimate knowledge of the Hill’s biographical histories, personalities, and the previously unpublished historical files pertaining to their sensational story. She is the author of three books, Captured! The Betty and Barney Hill UFO Experience, and Science was Wrong, with nuclear physicist/scientific ufologist Stanton T. Friedman, and The Alien Abduction Files, with Denise Stoner. Additionally, her essays appear in several books. Her articles have been published in the MUFON UFO Journal, Open Minds, and FATE magazines and on several websites. Kathy has appeared in television and radio programs in the US, Canada, Australia and the UK, and has lectured throughout the United States. She is recognized as the world’s leading expert on the Betty and Barney Hill abduction.